New homes, residential remodels, additions, historic restorations, accessory dwelling units. Unfinished basement converted to living space in large 1914 Prairie Style 4 Square home. New Entertainment Room, Laundry Room, Bathroom, Bedroom & Storage. Constructed by Young & Son Woodworks. Whole House Remodel including relocation of Kitchen to open into Dining Room, creation of Master Suite, new Mudroom & Basement Conversion. Constructed by Green Gables Design & Restoration. 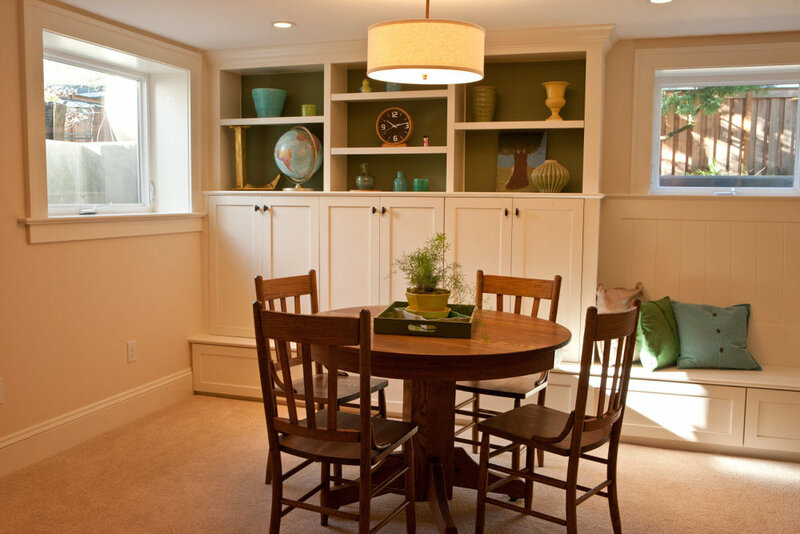 Interior Finishes by Vida Shore Design. 1991 William Fletcher NW Regional Style Master Bathroom. Complete reconfiguration, exposing T&G vaulted ceiling & trusses, new steam shower, soaking tub & large double vanity. Constructed by Hammer & Hand. 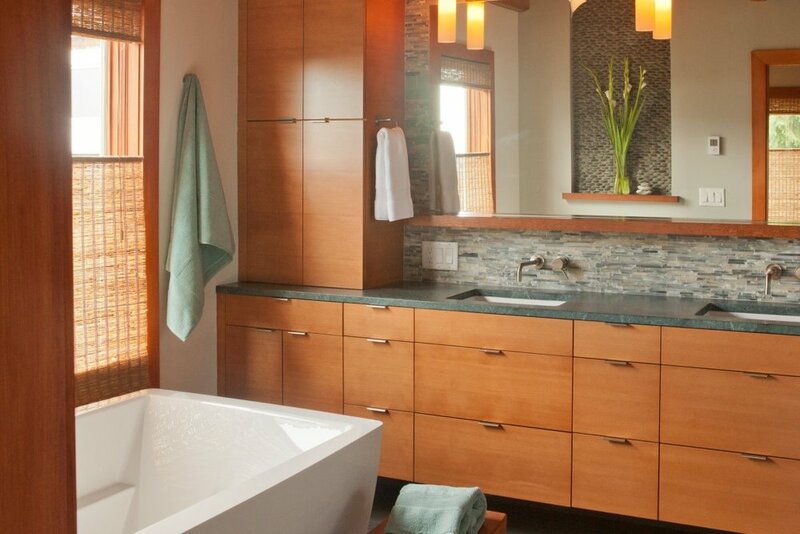 Interior Finishes by Vida Shore Design. MkM Architecture is a licensed architecture firm specializing in comprehensive architectural services, from initial planning through permit-ready construction documents. 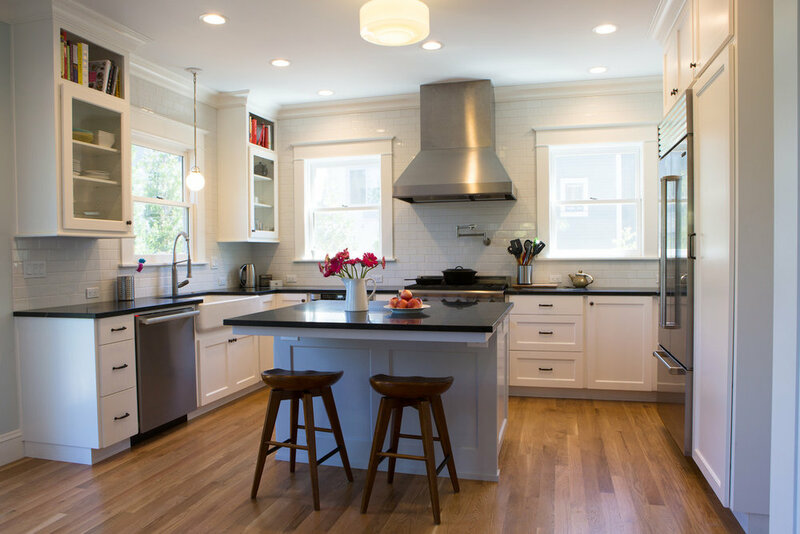 Established in 2005, MkM’s portfolio includes hundreds of successful projects throughout the Portland metro area. Copyright © 2019, MkM Architecture, Inc. All rights reserved.